Spout Crag Boathouse is a holiday home with a garden, set in Sawrey. 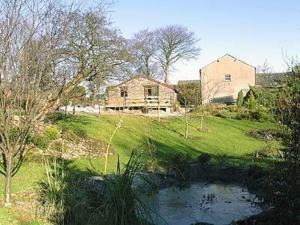 The property is 5 km from Windermere and features views of the garden. There is ..
Cockleshell Cottage is a holiday home set in Haverigg in the Cumbria Region and is 45 km from Blackpool. The property is 32 km from Windermere and fre.. Featuring a barbecue, Mill Dam Cottage is a holiday home situated in Coniston. The property is 2.4 km from Tarn Hows and features views of the mountai..
Brantfield House is a holiday home set in Bowness-on-Windermere in the Cumbria Region and is 300 metres from World of Beatrix Potter. 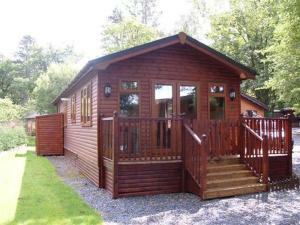 The property is ..
Copper View is a holiday home set in Coniston, 1.3 km from Tarn Hows. It provides free private parking. The kitchen is fitted with an oven and there .. 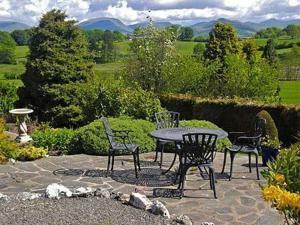 The Cottage is a holiday home is situated in Elterwater and is 9 km from Windermere. The unit is 22 km from Keswick. There is a dining area and a kit..
Elterwater Park Country Guest House offers a beautiful Lake District setting looking onto the hills surrounding Elterwater. This charming guest house ..
Rustic Cottage is a holiday home located in Bowness-on-Windermere, 200 metres from World of Beatrix Potter. The cottage is 1.4 km from Lake Windermere..
Drumlin is a holiday home with a garden, set in Hawkshead, 1.1 km from Grizedale Forest. It provides free private parking. There is a dining area and..
Howe Cottage is a holiday home located in Bowness-on-Windermere in the Cumbria Region and is 200 metres from World of Beatrix Potter. It provides free.. Situated in Haverigg in the Cumbria Region, this holiday home is 45 km from Blackpool. It provides free private parking. 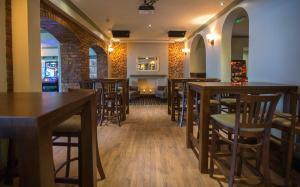 There is a dining area and a.. Featuring a barbecue, Shingle Cottage is a holiday home located in Seascale. It provides free private parking. A dishwasher, an oven and a toaster ca..
Thorn Cottage is a holiday home set in Broughton in Furness in the Cumbria Region and is 22 km from Windermere. 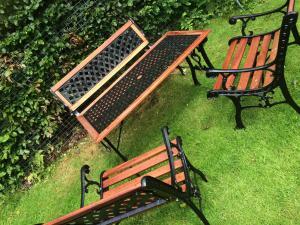 The property is 37 km from Keswick and.. Located 5 km from Windermere, 2 Lakeshore Boathouse offers accommodation in Far Sawrey. The property features views of the garden and is 33 km from Ke..